Most beer lovers who’ve drunk their way through Portland would be content to die tomorrow and feel great about all the beer they’ve guzzled. Though the Rose City is indeed the hop heaven that major publications from around the world claim it is, anyone with access to a car (and a designated driver!) is doing herself a serious disservice by not diving even deeper into the many towns and villages that dot this great states countryside. Whether you’re looking for an excuse to head to the coast, drink your way through a college town or simply escape the highfalutin attitude of the Willamette Valley’s many elite wineries for a more down to earth beverage, you’ll find exactly what you’re looking for within just a few hours of Portland proper. 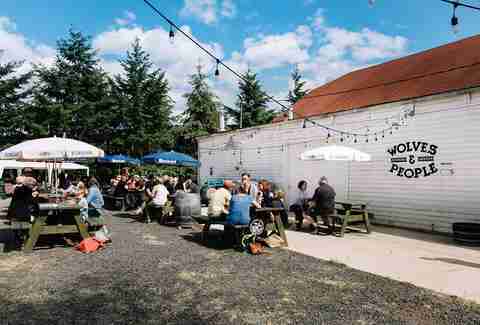 Everyone knows good beer is worth the journey, so be sure to consult this list before you head out of town for the weekend -- there’s probably awesome beer along the way, and what road trip through Oregon is complete without a pit stop for a pint or two? You wouldn’t expect a brewery with such impressive scale and ambition to be the de facto bar for townies who consider cover bands and cold pilsner to be essential ingredients of a great Friday night, but the unpretentious nature of Double Mountain has seen it evolve into exactly that since opening its doors about a decade ago. The dive bar in your neighborhood has probably offered Vaporizer -- their dry-hopped pale ale that smacks of pine and herbs -- or Kolsch -- a deceptively strong take on a German classic known for being refreshing and sessionable -- on tap, but it’s not the same as sipping it between bites from one of their excellent wood-fired pizzas or rib-sticking sandwiches like the tuna salad or the Italian. 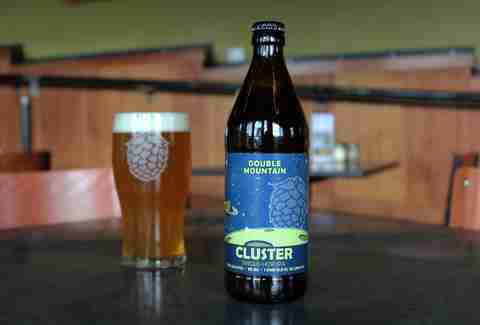 If you’re in need of convincing that not all brewpubs are the province of chin-scratching blowhards, Double Mountain is a great place to start. A quirky seaside brewery specializing in barrel-aged beers made with spontaneous, open-air fermentation. Unless you were part of a bottle-share club that got off on one-upping one another with obscure bottles from the deepest corners of the country, there’s a good chance this tiny little brewery in the sleepy coastal town of Tillamook went way under your radar. 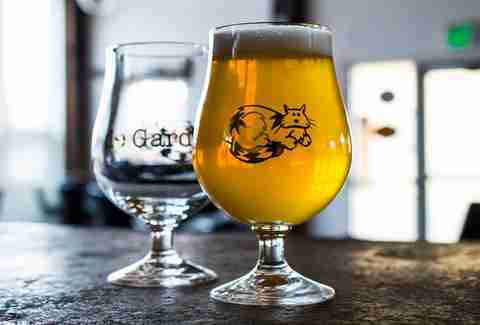 Now that their operation has moved from an off-the-path location behind an airdock to a Downtown taproom right on the 101, there’s a good chance de Garde’s status as a well-kept secret will continue to deflate as time goes on. 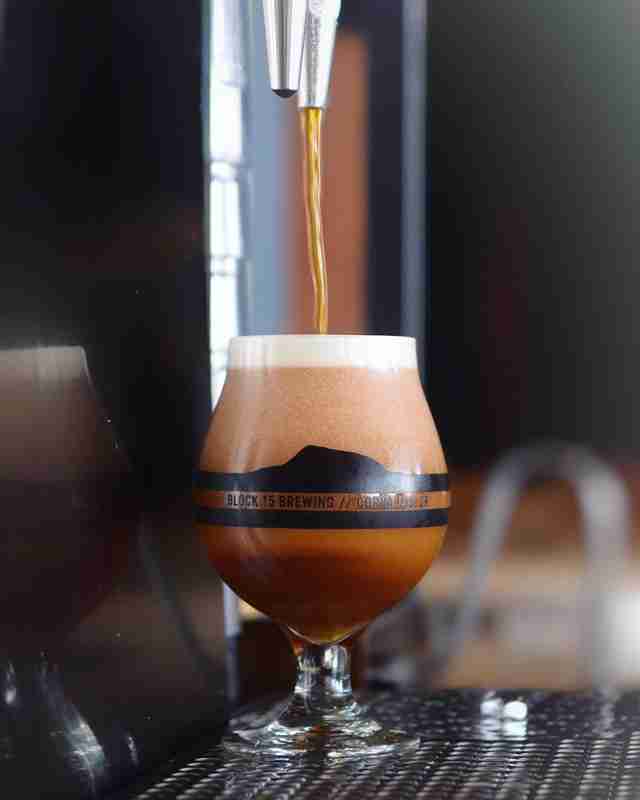 Their brewing process, which eschews the use of brewer’s yeast in favor of the ambient funk that runs rampant in the damp oceanside air of Tillamook, has only gotten headier as time has gone by. Especially since the barrels they age their many sours, stouts, and barleywines in retain impressive layers of flavor with every use. It’s hard to predict what’ll be on tap or available as to-go bottles when you stop by, but it’s important to stop in anyways so you can understand why de Garde’s cred in the barrel-aged sour scene is all but unimpeachable at this point. Housed in the corner of a warehouse next to the considerably rowdier Goodlife Brewing, the Ale Apothecary is almost the exact opposite of the hard-partying bro-heavy breweries that Bend is known for. Brewmaster Paul Arney prides himself on the aging process of his beers, which often lasts at least 18 months and sometimes takes place in a hollowed-out tree in the woods outside of town. You’ll usually only find just a small handful of beers on tap, but they’re likely to be such high-concept mindfucks featuring wild detritus like spruce tips and pine needles that you won’t need more than a few sips to realize that you’re in the presence of true greatness. 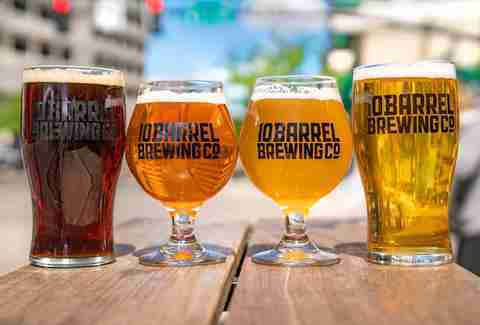 10 Barrel Brewing may be the finest exhibit of resilience in the face of InBev buyouts. Though outposts in Boise, San Diego, Denver, and Portland prove their thirst for expansion to be insatiable, there’s something to be said for the level of autonomy each location is afforded, and their original location in Bend is certainly a fine example of the long leash Anheuser-Busch has given them. Classics like Apocalypse IPA and Pub Beer Lager are abundant, but the real draw is one-off selections brewed by each location’s brewmaster, with Whitney Burnside’s Pearl -- a double IPA that pays homage to its namesake brewery in Portland’s Pearl District -- being a clear highlight from their most recent batch of IPAs. Say what you will about the corporate-ness that sometimes dilutes their scrappy, irreverent image, but the fact remains that their beer is great, and now they have the power (and the money) to spread their product far and wide. It’s hard to imagine what Fort George would look and feel like in a larger town because it certainly feels just right in its historic location at the center of Downtown Astoria. Few breweries that churn out such an impressive amount of IPAs can be bothered to devote any of their time to darker, hoppier obscurities, yet every February Fort George hosts the Festival of Dark Arts -- an event devoted to dark beer and, of course, macabre art that jives perfectly with the heavy, imposing air of this odd fishing town. If you miss out on the festival, the next best thing is a glass of Cavatica, their flagship stout named after the species of spider that’s native to the many rickety docks that stripe the town. Oregon has a surplus of college town breweries that have amassed loyal followings because their IPAs are ubiquitous in bars where people love to get hammered first and foremost. So it was a pleasant surprise when Block 15’s Sticky Hands IPA turned out to be dangerously drinkable in spite of its hefty hop content. They quickly tried their hand at the Hazy IPA trend to great success with the Citrasicle IPA and Fluffhead, though it would be foolish to skip lighter offerings like Gloria!, a smooth pilsner with a malty finish that belies its relatively low ABV. It’s likely you’ll be involved in some heavy drinking next time you find yourself in Corvallis, so you might as well do it with dignity at a brewery that knows a thing or two about hops. Clean, crisp and consistently great brews in every style imaginable -- and with the medals to prove it. Due to being an outdoor sports mecca just 60 miles east of Portland, something would had to have gone terribly wrong to prevent Hood River from becoming a decent beer town. Full Sail and Double Mountain certainly set the ultra-chill beachfront town on the right path, but it wasn’t until pFriem opened its doors in 2012 that Portland beer geeks realized renting a car to make the trek to this world-beating Belgian-inspired brewery is an absolute must. From fuzzy saisons and double IPAs to yeasty Belgians like the perennially amazing Strong Dark, nothing pouring from any of pFriems taps is short of a masterpiece as far as drinkability and balance are concerned. Staff are impossibly friendly even when the bright and roomy taproom is overrun with families -- of which there are (and will be) many. Those set on splitting hairs at what’s often ranked amongst the cream of Oregon’s brewery crop are sure to find something to scowl at if they look hard enough, but what they won’t find is a dud on the tap list or the hearty, farm fresh food menu. You needn’t be a beer nut to enjoy what pFriem offers, but the chance of you becoming one once you realize what you’ve been missing all these years is very, very high. 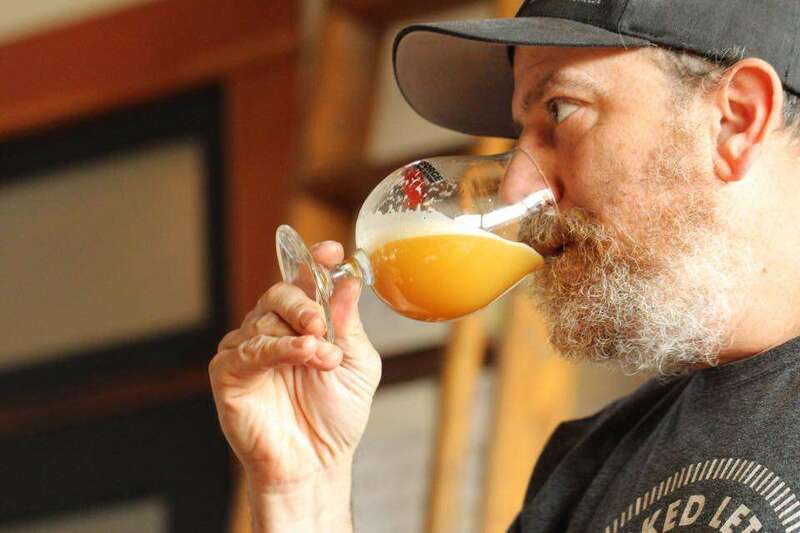 Located in the fertile rollings hills of Yamhill County, Wolves and People take the concept of “farmhouse ale” to its logical end by selling said beer out of an actual farmhouse. 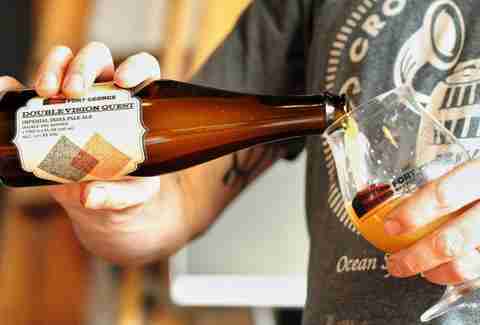 Already famous for its wine production, the Willamette Valley now counts barrel-aged saisons and sours in the ranks of notable beverages made from local ingredients. In Wolves and People’s case, those ingredients are so local they’re often grown on the same property, which adds unbeatable elements of terroir and freshness to brewmaster Christian DeBenedetti’s wild and funky beers. 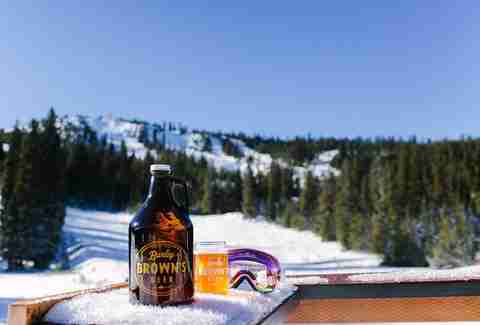 Though Bud Light and country music are central to the zeitgeist of eastern Oregon, the two decades of success that Barley Brown’s has enjoyed are as sure a sign as any that craft beer has its place way out in the high desert. Known for hoppier concoctions like Hand Truck Pale or Pallet Jack IPA, Barley Brown’s is the kind of place where “just a beer or two” often turns into an evening-long excursion that ends with a night in a weird motel on the edge of town or, if you’re lucky, a stay at the Geiser Grand Hotel, which is loaded with enough classy-yet-kitschy wild west vibes to make even the most uptight city slicker feel like they’re ready for their first Pendleton Round-Up. Since coming on strong with big wins at GABF and the Oregon Beer Awards, Alesong has finally graduated from a fly-by-night operation on leased equipment to a proper production facility and taproom on a lovely farmstead just outside Eugene. Their experiments with stouts and farmhouse ales rotate frequently, but the location itself is so pretty that even the most ardent of wine snob will feel right at home amongst the greenery and the scenery... so you may as well plan a visit regardless of what you hope or expect to find pouring from their barrels.